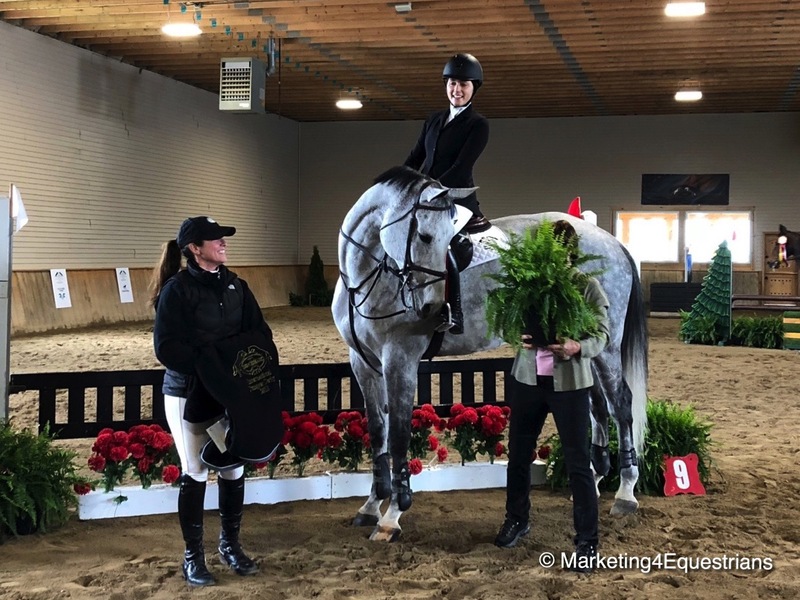 Leslie Pagel showed off her horse, Timeless, in the inaugural Benchmark International Sale Horse Showcase as commentator, Diane Carney, gave the details on each horse. 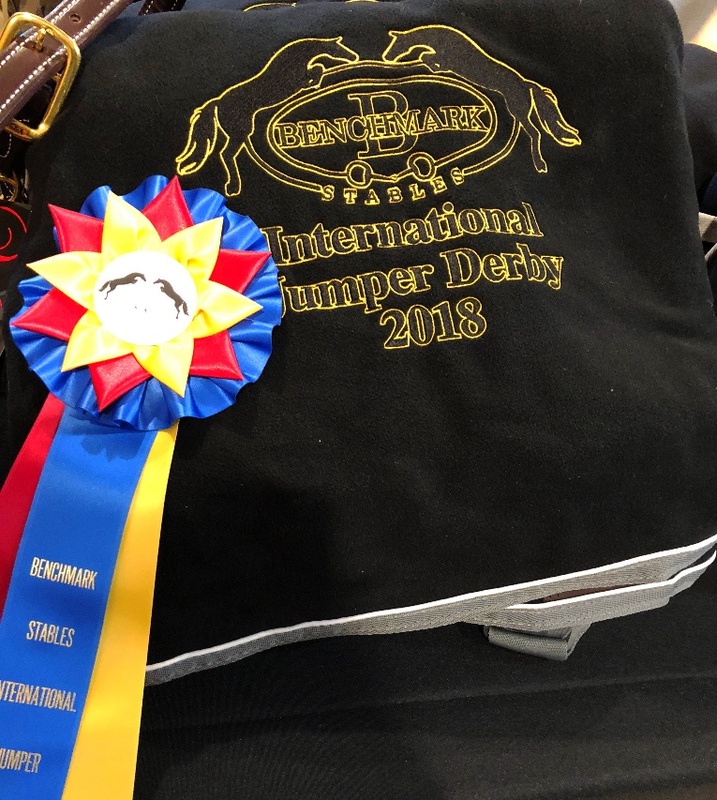 Hampshire, IL – May 14, 2018 – The Benchmark International Jumper Derby Weekend held at Liz Atkins' Benchmark Stables in Hampshire, IL, was a huge success, featuring three different events during the action packed weekend. Guests and participants were spoiled with outstanding hospitality throughout the weekend from Friday's Sale Horse Showcase and dinner to Sunday's Jumper Derby and Champagne Brunch. 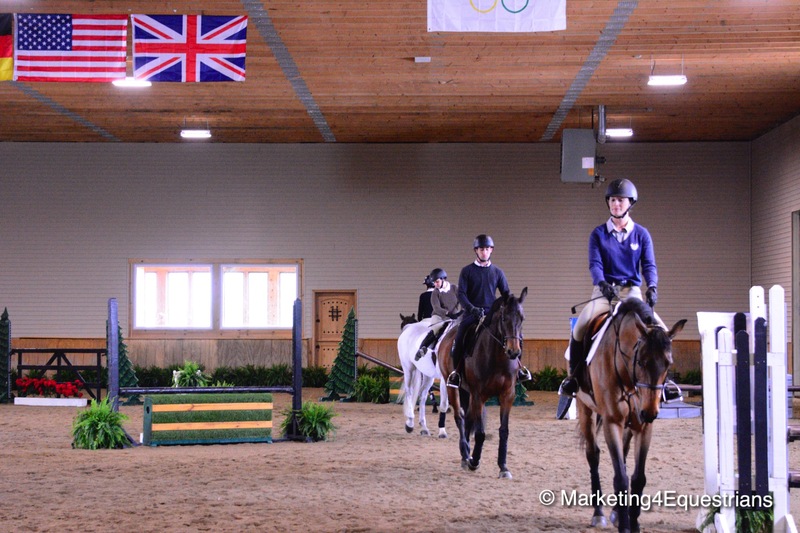 Education was definitely not left out, as riders were taught by USEF R licensed official and clinician, Diane Carney, during clinic sessions Friday morning and all day Saturday, working toward the Jumper Derby competition on Sunday. 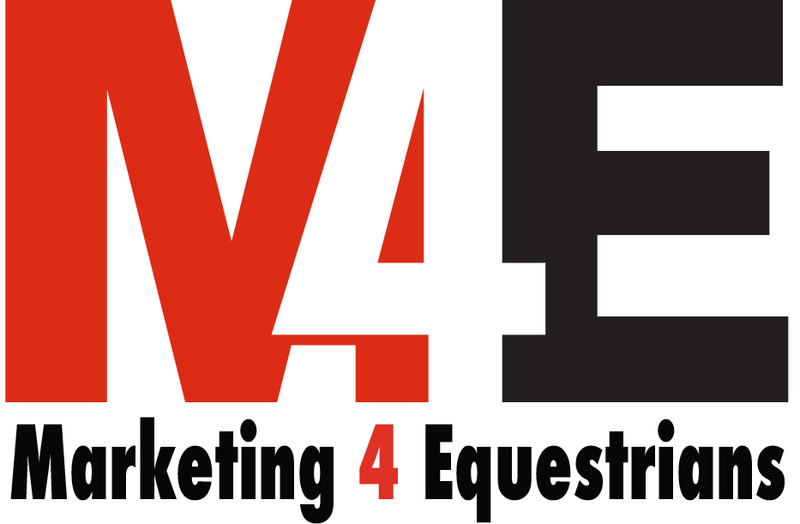 The event was an idea of Atkins and Brenda Mueller of Marketing4Equestrians and was organized by the team of Atkins, Carney and Mueller. "With the diversity of the event, there were benefits for everyone involved," commented Benchmark Stables trainer and owner, Liz Atkins. "The sale horse showcase provided a fantastic networking opportunity for buyers and sellers in a stress free environment and setting. Horse trials were already scheduled less than 24 hours later! The clinic portion stressed position and diagonal aids, which are the basics and fundamentals to riding. These skills were directly applied while riding in Sunday's derby. 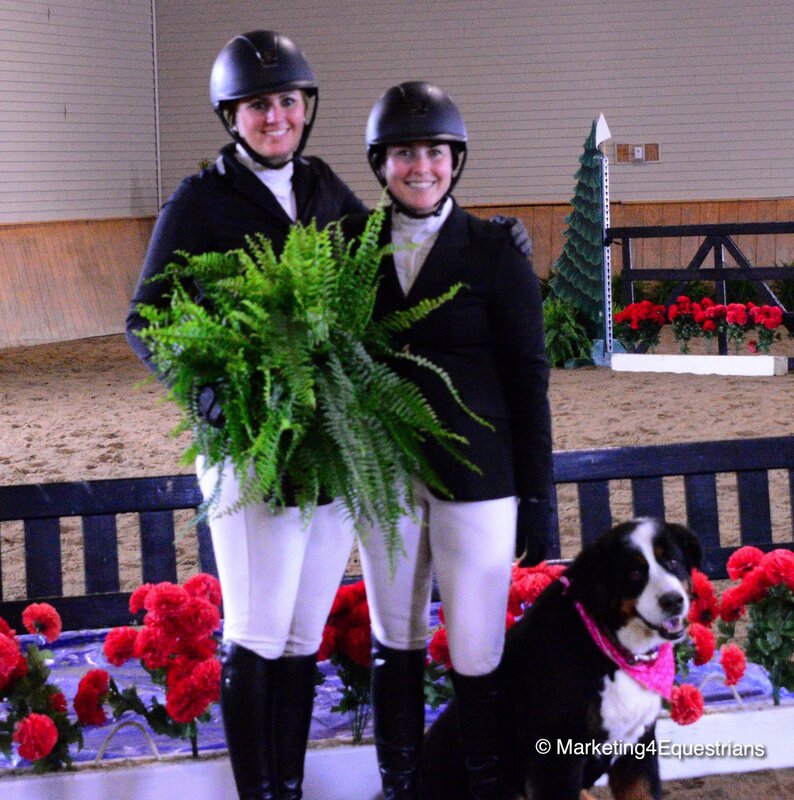 All of the clinic riders improved by Sunday, and were given the chance to have a real horse show experience. We absolutely plan on doing this again next year!" The windy city spring weather didn't spoil the Benchmark International Sale Horse Showcase and dinner on Friday evening. Guests enjoyed a wonderful catered dinner and open bar in heated comfort as they viewed approximately 20 quality horses for sale. 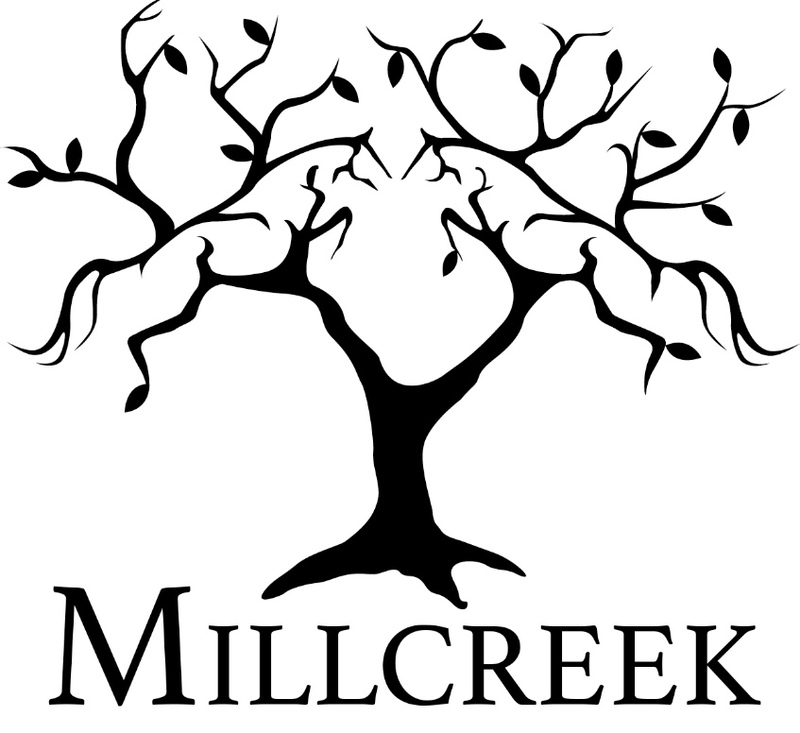 From hunters and jumpers to equitation horses, viewers could watch them perform and listen to information about the horses during the showing. Michael Burnett from Lebanon, Indiana, showed off Casal I in the showcase Friday evening. 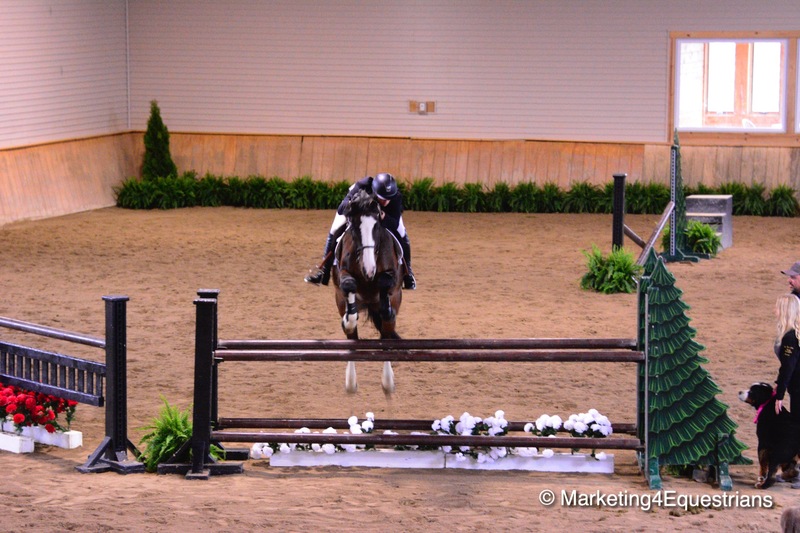 Appointments were scheduled less than 24 hours later to try some of the showcase horses. 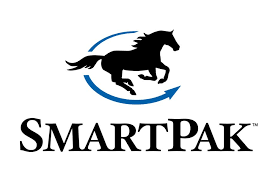 Guests commented on the ease of viewing 20 horses in one location and being provided the contact information to follow up as their time lines permitted. Viewers were able to see horses from outside the area they may otherwise not have seen especially, when during a horse show scenario, time to see and try sale horses can be limited. 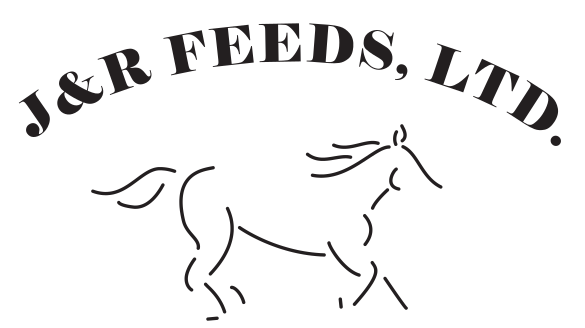 Sellers had the advantage of showing their horses to approximately 75 people with just one easy effort. "I loved it," said Michael Burnett of Burnett Farms. 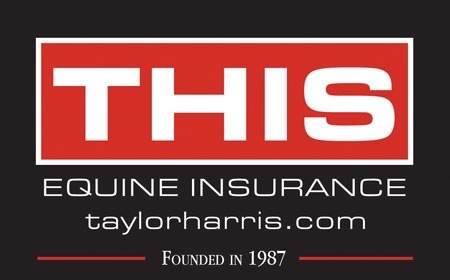 "Benchmark Stables is providing horse owners with a unique opportunity to present their sale horses in a more personal environment than a horse show." In addition to the showcase and sale book, horses were videotaped during the event and the footage will be available on the Benchmark Stables website along with contact information for further exposure and viewing. The clinic was focused on the skills needed to ride a jumper derby course, including water options and natural obstacles. The sessions with Carney provided a great opportunity for a spring tune up before heading into the show season with sections offered at all heights. The clinic prepared riders for Sunday's derby event. 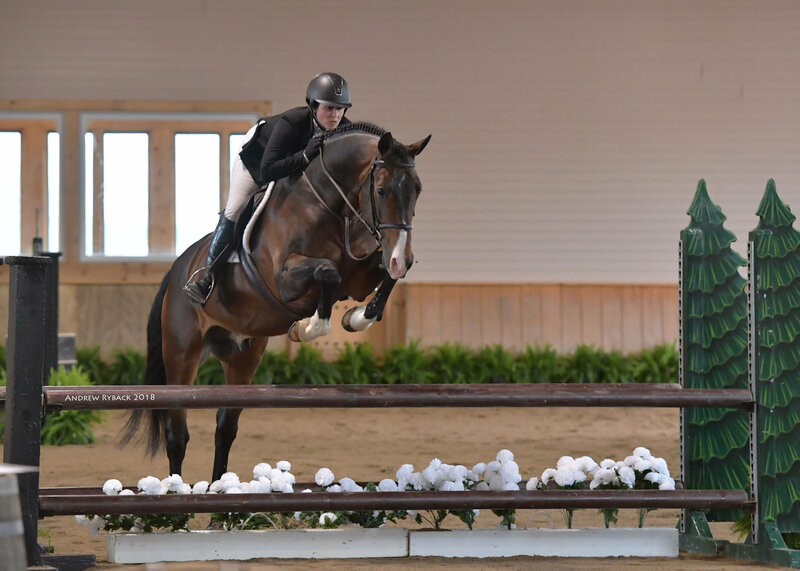 All heights had the opportunity to compete over a gorgeous derby course for $5,000 in prize money on Sunday, while spectators enjoyed a champagne brunch sponsored by EQUO. 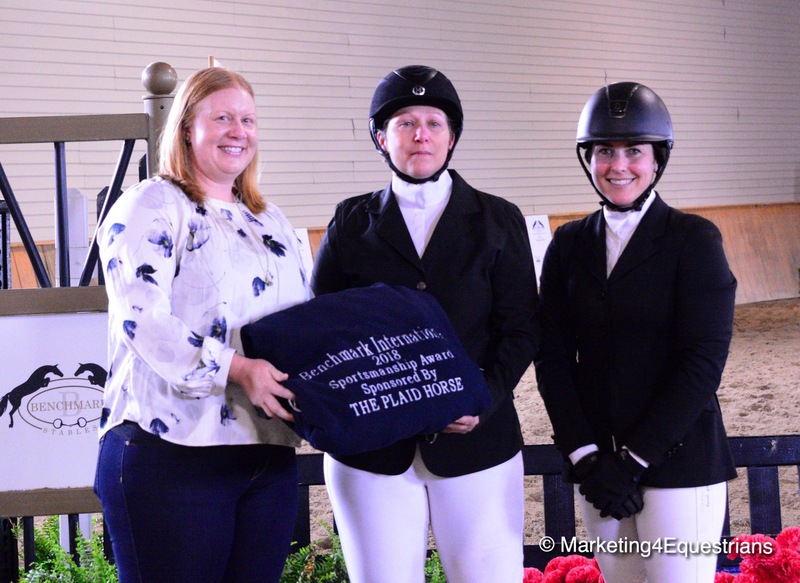 Marian Sykes and Amour de la Vallee, trained by Tina Judge-Boyle, won the $1,250 Benchmark International Low Jumper Derby, pictured with Liz Atkins presenting. Marian Sykes, rider at Judgement Farm, won the $1,250 Benchmark International Low Jumper Derby on her Amour de la Vallee. 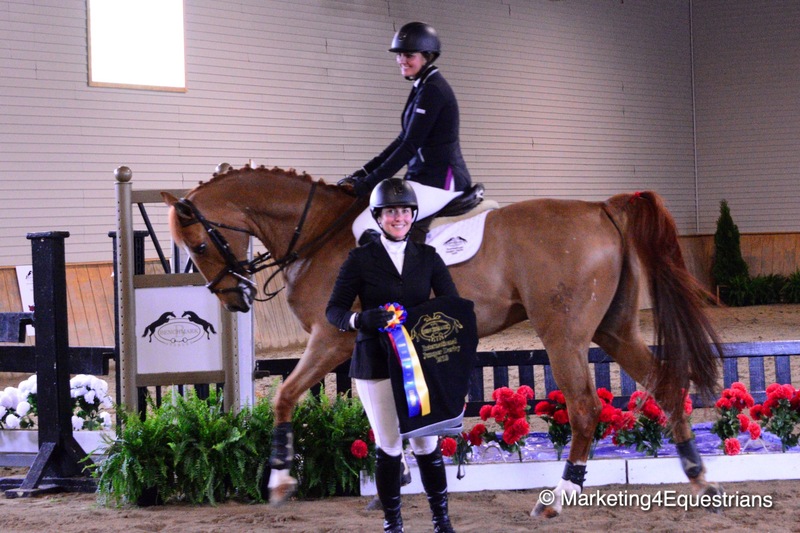 Sykes was also named the Most Improved Rider and was presented a Walsh halter, courtesy of Marketing4Equestrians. 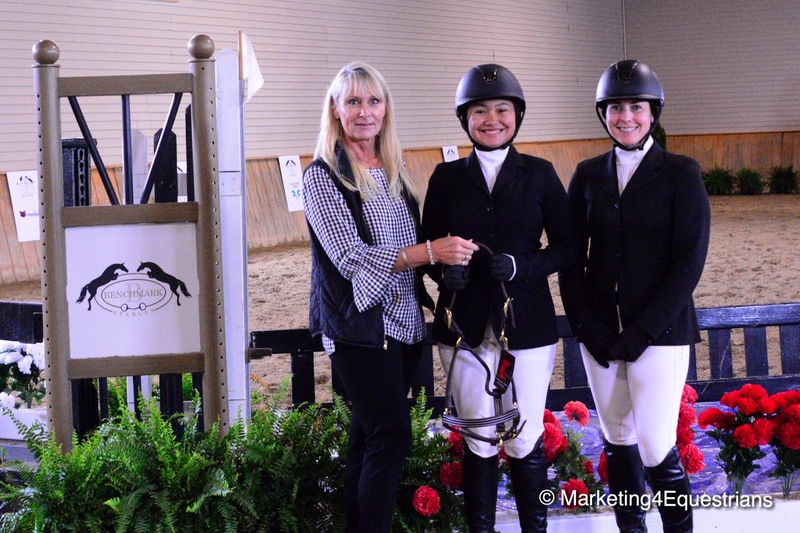 Marian Sykes received the Most Improved Rider Award from Brenda Mueller of Marketing4Equestrians, presenting with Liz Atkins. "The event was very warm and welcoming," said Sykes. "The clinic was a huge help to get to Sunday's class. The two day preparation was huge to learning. I just started doing jumpers on Amour and I thought it would be a cool experience to work with Diane." 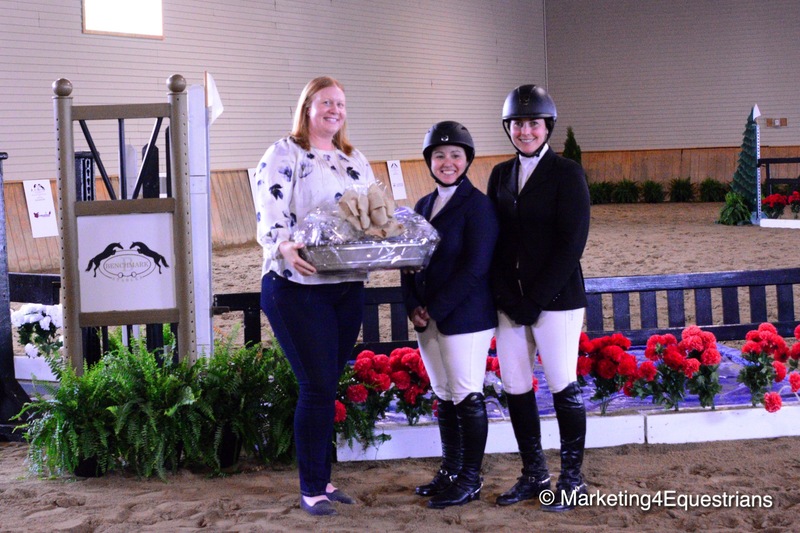 Louisa Bracket invited her mother, Andrea, to the winner's circle in honor of Mother's Day for her win in the $1,250 Medium Jumper Derby aboard Benchmark Stables' Good Vision. Louisa Brackett and Benchmark Stable's Good Vision, won the $1,250 Medium Jumper Derby, accepting the award with her mother, Andrea, in honor of Mother's Day. Samantha Wagner and L'Etoile rode a fast jump off to win the $2,500 Benchmark International High Jumper Derby with Liz Atkins presenting. Samantha Wagner rode L'Etoile to the top spot after an exciting jump-off in the $2,500 Benchmark International High Jumper Derby. 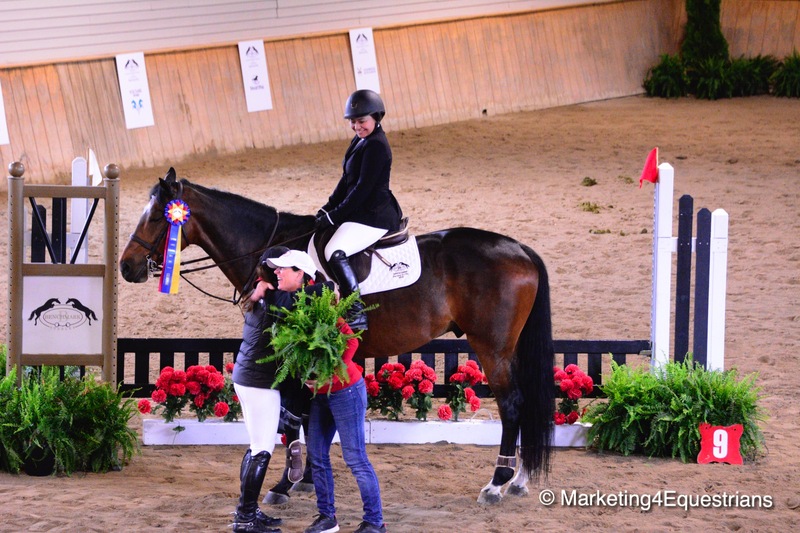 Cynthia Zitko with trainer Liz Atkins accepted the Sportsmanship Award from Mallory Schall of the Plaid Horse. 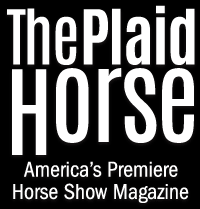 Stacy Ryback earned the Best Turned Out Award, presented by the Plaid Horse. Other special award winners included Cynthia Zitko, who was honored with The Plaid Horse Sportsmanship Award while Stacy Ryback and Carlotta W, earned the Best Turned Out Award. The Benchmark International Jumper Derby group including Khloe, the Benchmark Stables mascot. As a bonus, #everywinnergetsafern! What's the inside story on the ferns? "You have to come next year to find out!" laughed Atkins. For more information on Benchmark Stables, visit the website at www.benchmarkstables.com. 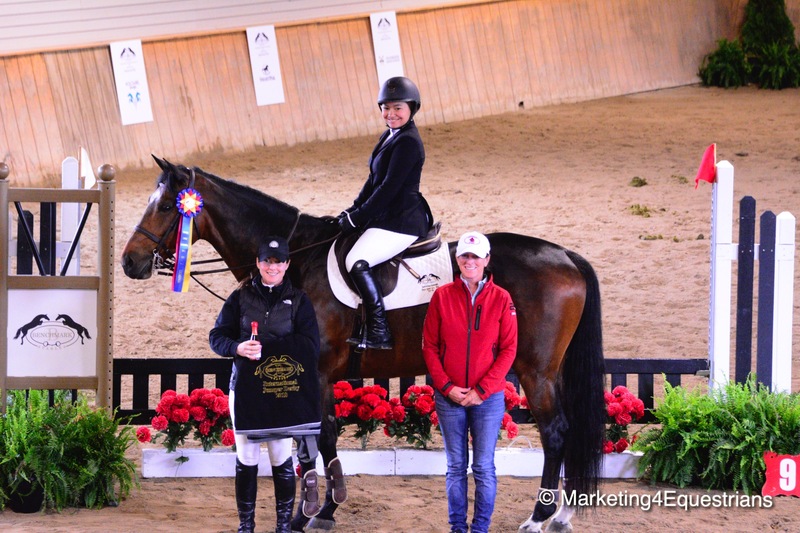 Trainer/owner Liz Atkins' accomplishments include Grand Prix and Welcome Stake top finishes at the Gulf Coast Winter Circuit, Lamplight Equestrian Center, Balmoral Park and the World Equestrian Center aboard horses she brought up through the ranks. 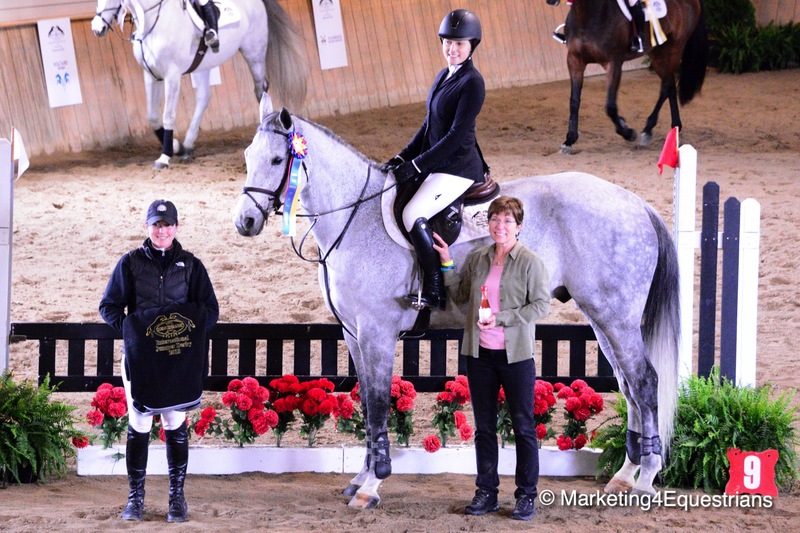 USHJA named Liz as a top young professional Grand Prix rider in 2014, her first year as a professional. Liz’s training program is designed around developing and challenging both horse and rider to achieve success at all levels.